Ms. Younce graduated from Cornerstone Preparatory Academy in 2010. She took classes at Georgia College & State University in Milledgeville, before moving back to the Atlanta area and becoming a dental assistant. 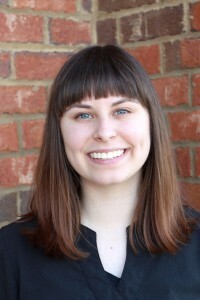 She recently worked at 1st Choice Dental Care as an assistant at the Kennesaw location, and has experience in front desk operations and insurance. She is currently a marketing coordinator for 1st Choice Dental Care. Mrs. Reed graduated from Hawes Career Institute in 1995. In 2003 she became a certified dental assistant and then in 2004 she passed the Ohio boards to become expanded functions dental assistant. She has been a dental assistant for 20 years with the last three in Georgia. 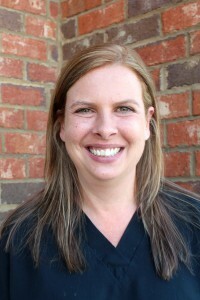 She is currently the lead dental assistant at 1st Choice Dental Care in Kennesaw, GA.
Dr. Reizenson received his DDS from the State University of New York at Buffalo School of Dental Medicine in 2001. He then advanced to the prestigious General Practice Residency Program at Veterans Hospital of Western New York. Upon completion, Dr. Reizenson relocated to Atlanta, Georgia and worked for a mobile dentistry group called Help A Child Smile that primarily cares for underserved children all across the state of Georgia. 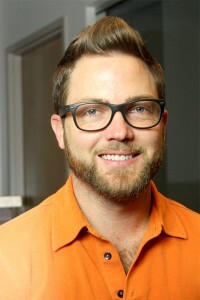 As one of the owners of iSmile, a technology forward dental office, he is a routine volunteer for Give Kids A Smile Day. Dr. Reizenson is certified in the use of Cerec technology for single visit all ceramic restorations, as well as certified in placing and restoring dental implants. In 2007 Dr. Reizenson was recognized by the History Channel’s “Modern Marvels” as one of America’s top 25 inventors of the year for a patented oral hygiene device called ClearSmile. He is the founder and CEO of ClearSmile LLC. Dr. Reizenson is a long standing member of the American Dental Association, as well as the Georgia Dental Association. Dr. Alla Alpert graduated from State University of New York at Buffalo School of Dental Medicine in 2002, and completed a General Practice Residency at Erie County Medical Hospital. During the residency program Dr. Alpert received extensive training in Oral Surgery, trauma and emergency care, endodontics and completed an Esthetic Dentistry Continuum. Following graduation, from 2003-2006, Dr. Alpert moved to Georgia and worked in a family practice as an associate dentist. In 2006 she opened a family practice in Roswell, GA. Since moving to Georgia, Dr. Alpert has completed hundreds of hours of continuous education in clinical dentistry and practice management. She has received Level I and Level II training in Invisalign, Basic and Advanced Cerec training, LVI endodontic root camp training, Practice Management by Statistics training along with many other courses at Hinman and other facilities. Dr. Alpert volunteers at Special Smiles Olympics and takes on pro-bono cases to help out in the community. Dr. Alpert has trained many employees at her office and has created multiple study and work manual for various positions in the office and has tremendous understanding of the skills that a dental assistant needs to possess. Dr. Vaughn received her Bachelor of Science degree in Cell Biology from The University of Tennessee, then went on to achieve her DDS degree from the University of Tennessee in Memphis. She is a member of the International Team of Implantology study group and remains up to date with many other continuing education classes. She is currently the owner of 1st Choice Dental, which has 3 locations in the Atlanta metro area.